Extreme economic inequality is one of the most urgent issues of our time, exacerbating poverty, hindering development, and undermining the full spectrum of human rights. The inclusion of a standalone goal on inequality in the 2030 Agenda for Sustainable Development – Goal 10, which promises to reduce inequalities both within and between countries – has the potential to catalyze much-needed action to narrow the vast divide between the haves and the have-nots. However, SDG10 is also uniquely vulnerable to strategic neglect and political backlash or inertia. CESR is proud to present a new briefing examining the human rights issues at stake in SDG10 and offering a set of human rights-based policy proposals to ensure the promise of this goal is fulfilled. Building on CESR’s extensive experience in bringing human rights to bear in development debates, From Disparity to Dignity: Tackling economic inequality through the Sustainable Development Goals explains why addressing the soaring levels of socioeconomic disparity that have come to characterize modern times is both a critical development challenge and a human rights imperative. 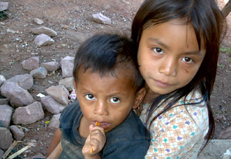 The briefing shows that unchecked levels of inequality undermine both economic and social rights, such as health, education, housing, employment and adequate living standards, and civil and political rights, such as access to justice and political participation, whilst also fuelling insecurity and conflict. A wealth of recent evidence also shows that current levels of inequality will make it impossible to achieve other development goals – not least eradicating extreme poverty. Seriously tackling inequality is therefore essential for progress across the SDGs, especially in an agenda which promises to ‘leave no one behind’. The briefing also explores the ‘political economy’ of Goal 10 and why it is especially vulnerable to being undermined, misinterpreted or simply neglected. 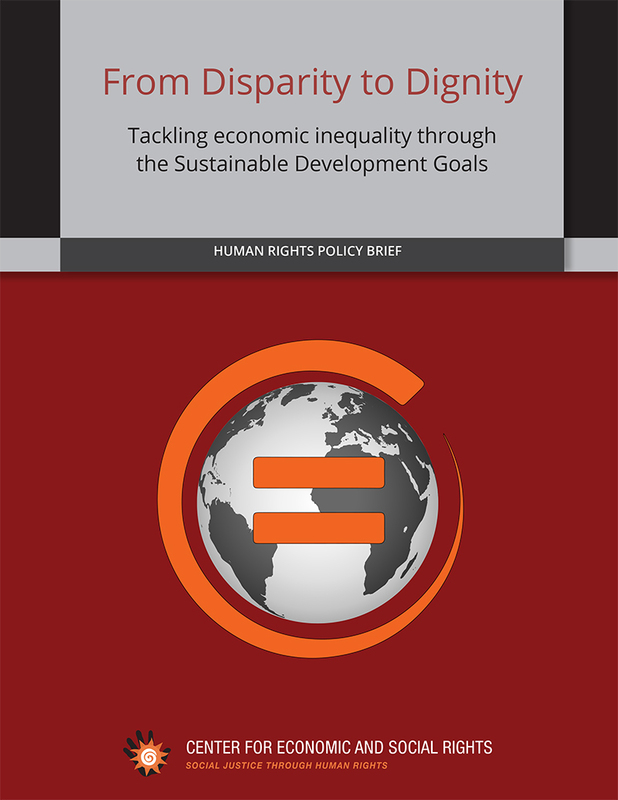 Against this backdrop, From Disparity to Dignity proposes a human rights-centered policy agenda to tackle economic inequality and the social inequalities it reinforces. The briefing argues that human rights principles such as non-discrimination, substantive equality and the deployment of ‘maximum available resources’ to realize rights progressively for all can provide normative guidance on how SDG10 should be implemented. Drawing on human rights standards, the briefing explores a critical set of redistributive policies – in the areas of social protection, health, education and taxation – that are key to tackling economic inequality from a human rights perspective. It also explains the equally crucial ‘pre-distributive’ policies – actions governments should take to ensure the rules of the marketplace are equitable in the first place – such as employment and labor rights, care and family leave, and financial regulation. The briefing also underlines the urgency of coordinated action at the global level to tackle the structural factors fuelling inequality both within and between countries, such as cross-border tax abuse and democratic deficits in global economic governance. From Disparity to Dignity also tackles one of the most serious threats to SDG10 - the lack of robust systems of accountability to ensure progress. It argues that the High-Level Political Forum on Sustainable Development still has the potential to overcome its current weaknesses and play an important role in monitoring the transnational dimensions of the SDGs, including global cooperation to reduce inequality. 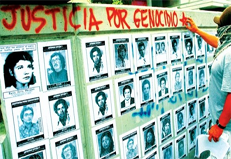 Human rights oversight bodies at all levels – from the UN treaty bodies to National Human Rights Institutions – are also shown to have a uniquely valuable role to play in filling the accountability deficit for this goal. Likewise, the shortfalls of the current indicators proposed to measure progress towards SDG10 are addressed and more rigorous, human rights-sensitive measures suggested. As the first tentative steps are taken towards implementation of the 2030 Agenda, CESR hopes that this briefing will prove a potent and timely resource for all those intent on making sure SDG10 is brought to fruition and that the SDG’s promise to ‘leave no one behind’ is realized. "The 2030 Agenda is far from perfect, but its commitment to tackling inequalities in all countries – rich and poor – marks a vast improvement from the Millennium Development Goals, and potentially hints at a new development paradigm," said CESR Executive Director Ignacio Saiz. "The human rights framework offers powerful tools for both civil society and other actors to help bring this promise to life." 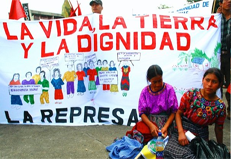 Join the CESR-moderated OpenDemocracy on-line forum on Economic Inequality and Human Rights. To learn more about CESR’s work on the SDGs, see here.